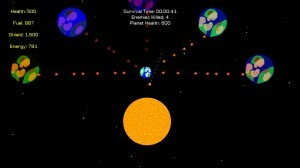 A simple top down space shooter. 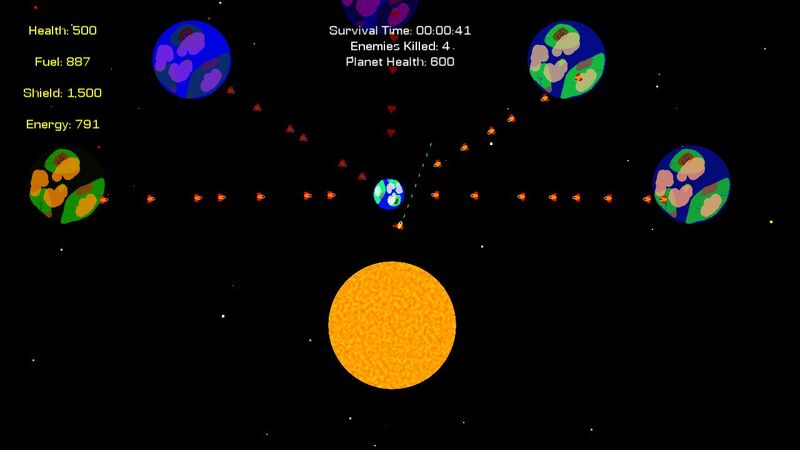 5 enemy planets are sending ships to attack earth and your goal is to stop them. Recharge your fuel by flying over the sun, but be careful as it also damages your shield or health. The shield recharges, health doesn’t.